When it rains, it rains – MEMOIRISH. On a total whim one very late night, I changed my blog name. Who the hell changes a blog name without so much as an announcement? Didn’t she just add a graphic some weeks ago loosely related to the old name while prattling on about synapses? And why the hell is there a comma between rain boots, like it’s so deep? All valid questions. And HEY. Be nice. Like most of my concoctions, there wasn’t really much to it. I’d simply grown tired of Explore. Dream. Discover. I picked it almost three years ago based off a supposed Mark Twain quote that most likely wasn’t even correctly attributed (followed closely by “Cake is the death of me.” – Abe Lincoln). I figured I’d change it if something better came along. Nothing ever did. All the while, about a bajillion other blogs with the same name sprouted. One ambitious individual even took it as a domain. Scoff! I scoffed. What is this trademark dilution?! Then, one gloomy spring evening, I saw this. And somehow, I just felt like it really, really fit. As for the tagline, well, it’s all true. I’m currently on a quest to conquer the world (which world I’m not exactly sure), and I do a mean, mean robot (patented since 2004). 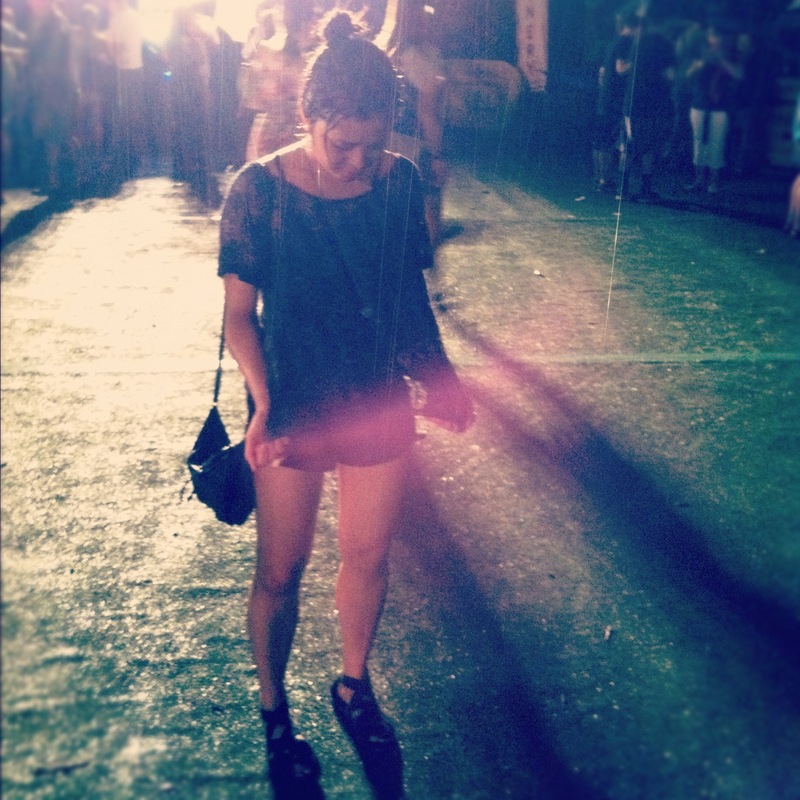 As for dancing in the rain, why, as you can see, the universe took care of that for me. So, there you have it, friends. Stay a little while. Kick yo feet up. We’re just getting started.